More than 100 people freely gave of their time and skills for more than 10,000 hours to re-open the pool as Beccles Lido; and in so doing, we became more environmentally aware, embracing renewable energy and other green and sustainable means of making our pool a vital and thriving business. Since we re-opened, even more people have spent even more hours volunteering to run Beccles Lido and Beccles Lido Limited. 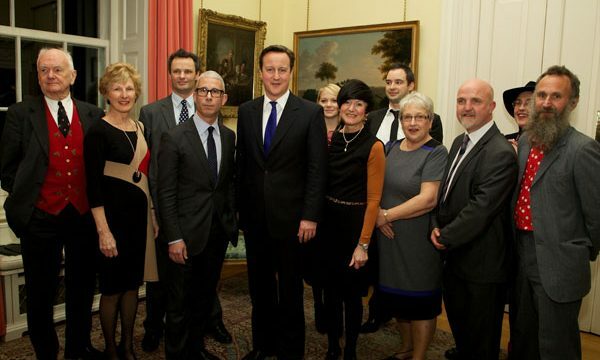 So in November 2011 we were delighted to accept the prime minister’s Big Society Award 2011 on behalf of all those volunteers and local organisations and companies who helped us to save the pool and create Beccles Lido. It was a fantastic endorsement of BLL’s charitable, social, sport, health, business and environmental goals. Click here to read the full press release from Number 10. Galvanised by our success with the Lido, and even before the award, we had already started our next project: to save Beccles Public Hall. New Directors had been identified, new volunteers had come forward. For BLL, there is no political allegiance or agenda beyond wanting, passionately, to save our precious local assets from being sold, run down or closed by a cash strapped local district council, who can never fully understand or represent the needs of our local community in Beccles; and to prove that the local community can manage them more successfully, profitably, and become even more of a community in the process. They were right! Whatever next?